UPSC Civil Services Exam is an exam which not only tests one’s knowledge, intelligence or analytical abilities, but also patience. Candidates often reach the zenith after years of hark work. The majority of the toppers who clear IAS are fine examples of perseverance, who make it to the top after multiple attempts, often improving the ranks/services they got in the previous attempts. But there are also wonder-boys/girls who make the whole exam process look simple and clear IAS in the first attempt. We have already covered the interview of Akash, an IITian (age 22) who falls under the second category. 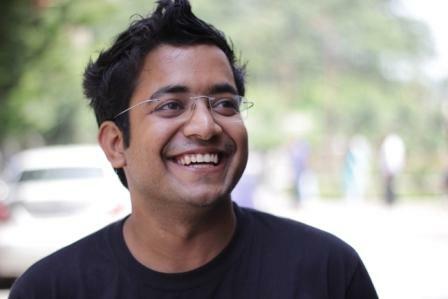 This interview by Clear IAS™ is with another IAS-in-single-attempt-guy, Dr.Roman Saini, age 22, who graduated from AIIMS. Roman scored exceptionally well in Prelims and Mains GS, and we are happy to share his valuable tips with our readers. This interview is prepared to extract the best out of this young man to benefit future aspirants. Roman has also agreed to share a few model answers with the readers of clearias.com to guide them better for UPSC Civil Service Main exam. 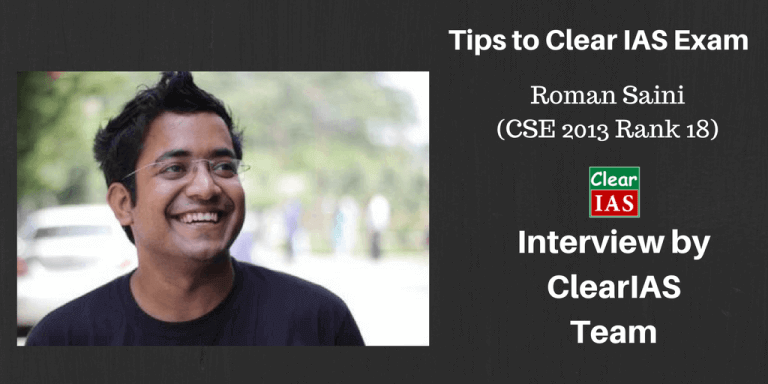 Let’s welcome Roman to the “UPSC Toppers Interview” at www.clearias.com. State and Place of Residence (Permanent): Living in Delhi for past 7 years. ClearIAS.com: Hearty congratulations from ClearIAS.com for this exceptional achievement! We are happy that your efforts are rewarded in grand style! How did you come across the idea of writing UPSC Civil Services Examination? Was it your childhood dream? Not my childhood dream, thought of writing UPSC while I was doing MBBS. At that time I realized that the basic maladies cannot be solved by being a doctor. To solve the root cause of the problems in society ie. lack of awareness, medication, opportunities etc. by touching millions of lives at one go is possible only by becoming IAS. I was sleeping, so I got to know from my friends the next day ie. 13th June 1 am morning. My phone was also switched off. Yes, I felt good that I cleared this examination. But this is not something to be very proud of because the real work has just started. ClearIAS.com: Do you feel that the competition level of UPSC Civil Services Exam is on a rise? It seems that there is an increasing trend of candidates from IITs, IIMs and AIIMS attempting and clearing this exam. Is Civil Service the final destination/ambition of Indian youth, in this age of lucrative private sector jobs? Competition is definitely on the rise because most of the candidates who are becoming IAS are from professional backgrounds. The Large majority are engineers, MBA graduates or doctors. Civil service seems an attractive destination for youth. Middle class, in particular, aspire to become civil servants. The private sector has its own importance but the diversity, challenges, vibrancy that you feel – each and every moment you feel alive – is in civil services only. ClearIAS.com: How did you approach this exam? What was your attitude and strategy in general (Prelims, Mains and Interview)? Positive, optimistic, single-minded, ruthless focus. The strategy is to read as much as you can from the same source and revise it again and again. Prepared for 2 years (more than sufficient). I was 21 when I gave Prelims. On an average, I put around 6-10 hours on daily basis. And gradually increased the effort during exam time to 12 hours. 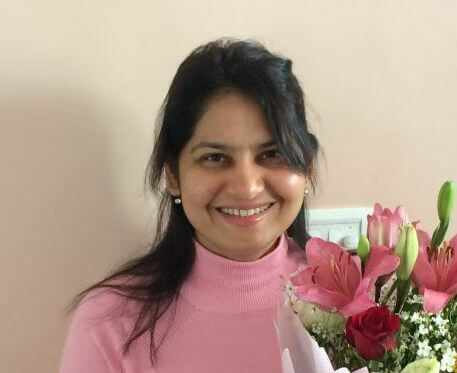 Managing time was extremely difficult as I was pursuing MBBS from AIIMS. But if you have single-minded focused on it, you will find a way. Preferred studying alone rather than combine study approach. Not in favor of group study, because of the different knowledge base that we have. That creates problems. Newspaper- The Hindu (90 minutes) daily and magazine- Yojana. Vajiram. Coaching institutes do help. They are not absolutely necessary, but they just do help. Hindu.com, clearias.com, jagranjosh, mrunal.org, ccrt (for art and culture), finance ministry, upsc.gov.in and gktoday. You can also check my YouTube channel unacademy, which has lots of awesome videos for UPSC preparation. 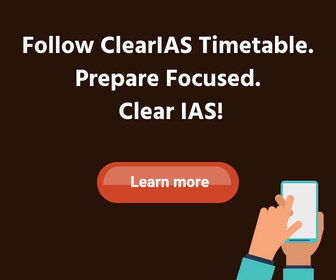 ClearIAS.com: Did you use Social Media like Facebook, Twitter or other forums for UPSC Preparation? Or did you say good-bye to the social media during preparation days? Any tips? I used Facebook a lot and joined a lot of groups. Lots of materials are available online. I think you should use FB a lot. But not for other purposes. 80% preparation was done online – very easy to make notes in OneNote/EverNote. Used laptop, tablets and all things of that sort which helped me. You cannot depend fully on traditional reading these days. No daily timetable as such. But used to study 6-8 hours a day. 7-8 hours sleeping. ClearIAS.com: How did you keep yourself motivated for this one-year long exam? Long duration – approximate 400 days between prelims and the final result. You should know why you want to become a civil servant. Only that reason will motivate you to study. If you do not know that, then you will fail miserably. Can any one say me that is it necessary to score 80 to 90% marks in our academic career to become IAS or IPS or an average student is enough like scoring 50% in his or her academic career….Please someone do reply! no its not like that…whenever u have strong desire to do something from inside. U can do….but need to be very self honest or else u may ruin ur career. noh its nt necessary that getting high marks in academic carreer will surely take u to ur IAS dream……..
Congratulations ROMAN for making it big. You have earned all the praises you are now receiving.